Indigenous cultures refer to medicine as the essence of the person, place or thing. In our terms it is the essence of being a man as a spiritual, physical, mental and emotional being. In today’s society it is not always clear what it means to be a man. Moreover, it is not always clear how to be a man, nor is it always clear how to be the authentic self, fully present, regardless of circumstances. It seems that we have forgotten the essence of being a man, the medicine of being a man. In prior times, the creation and development of medicine of men were done through various forms of initiations, now more commonly called Hero’s journeys. These journeys were structured rituals and ceremonies that brought the boy/man face-to–face with the boyish attitudes and beliefs that no longer served the evolving man. These rituals and ceremonies were designed to ignite the deep masculine energies that would enable the boy to let go of the boyish ways that tended toward self–centeredness and move toward family and community responsibilities. These rituals and ceremonies often involved facing the deepest personal fears of boyhood. These processes would enable the man to evolve from the ashes of the boy. Hero’s journeys were catalysts to burn away the psychology of being a boy so that new paradigms or world views could evolve. 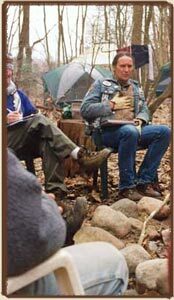 For the initiation to be successful, the initiatory process required that sacred space be created and held by others. In this sacred space, the initiates would be able to discover and release the habits and patterns of the past to create a new way of being. New paradigms were taught to the evolving men so that they would understand the energies within themselves that could be birthed and developed into skills and ways of being complete within the world. These paradigms or world views were considered the secrets of manhood. 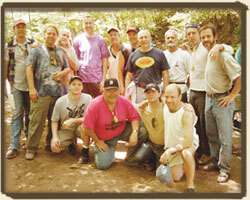 Natural Passages: Men Becoming Leaders is a one year male initiation program. It is a program that enables the core integrity of the man to surface. It is designed to awaken, develop, and nurture the essence and fullness of being a man in today’s world. Our focus is developmental. We seek to invoke the unfoldment of mature masculine energies. Our goal is specific. We seek to assist each man to find his place in the world. Our hope is honorable. We seek to fill the void of mature men that can stay within the center of whom they are regardless of circumstances and lead others. Our dream is selfish. In supporting others to find their place in the world, we envision your leading others to do the same. Therein, we can build community and make a difference in the world. 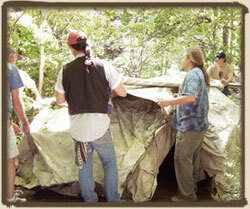 Natural Passages will build a community amongst nature. We will experience the healing of reconnecting to the earth by living in harmony with nature. 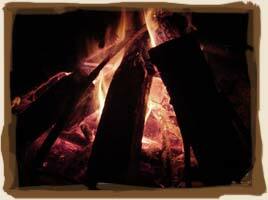 We will experience a purification sweat lodge every week-end to enable each man to shed old skins of being in the world and be reborn. We will experience being fully present with ourselves and with others so that we can make meaningful contact instead of talk at each other. We will experience talking circles to explore what it means to be a man. We will experience the formation of a community and what it means to be a member of one. We will explore what it means to become a member of the male community. We will explore what is means to be a man. The One-year Initiation Program will meet four times over the course of the year. It includes four in-depth experiences of cycles of life and the stages of change. Each weekend will explore one of four male archetypes. Beginning in the Spring, we will explore the archetypal energies of the Warrior, including how we can become sidetracked into being a perpetual hero or an unconscious victim. In the Summer, we will explore, the archetypal energies of the Sage, including how we can be consumed by the energies of the trickster and/or fool. In the Autumn, we will explore the Healer energies where we come into our own sense of compassion and receptivity or become consumed by addictions or desensitization. Finally, we finish in the Winter in the world of the archetypal Sovereign, where we claim our internal power or become tyrants or wimps. The program draws from a wide range of men throughout the country. We are diverse in age, occupation, orientation, race, income, culture, and ethnicity. Medical doctors, international consultants, computer programmers, college graduate students, business development directors, factory laborers, construction workers, various levels of management, and several CEOs from mid sized organizations have completed the program. We will explore the cycles of life and the stages of change. • Have the courage, commitment and discipline to Show Up and be present without preconceived notions, while having the Ability to Take Action and Enforce Boundaries. • Have the inner self-respect and the sense of responsibility to Assess, Analyze and Consciously make meaning consistent with my true integrity, while saying what is so when it is so, without blame or judgment. • Have the compassion and openness to be able to Connect and Feel with myself, those around me, and the environment, while surrendering to what has heart and meaning to my deepest soul. Have the generosity, patience, wisdom, conscious awareness, and maturity to be able to Initiate. • Support and Create Order while being open to outcome wherever I walk in this world. • Cowardice as seen through: Victimization, conflict avoidance, dissociation, rage, irresponsibility. • Entitlement as seen through: Control focus, Abuse of power, living behind masks that no longer serve, judgmentalism, deflection. • Superiority as seen through: Perfection, Seriousness, Addictive behaviors, Alienation/Separation. • Inferiority as seen through Worthlessness, co-dependency, narcissism, tyrannical, know-it-all. If the full amount is paid by February 1st of the program year, there is a $800 discount for individuals and a $1200 discount for businesses and corporations, so that the program cost will be $2400 and $4800 respectively. Full payment is due March 1st of the program year. Prior graduates of the program are entitled to an additional discount. Individuals can take an additional $300 beyond the $800 discount for a total due of $2100, if paid by February 1st. If paid after February 1st, only the $300 discount applies and $2900 is due. Business and corporate graduates are entitled to an additional discount of $600 beyond the $1200 discount for a total due of $4200 if paid prior to February 1st. If paid after February 1st, only the $600 discount applies and $5400 is due. There is a non-refundable $200 application fee for the One-year Initiation Program and the Intensive program. It will be applied to the program fee, if applicable. See application for details. Checks should be made payable to: the Cleveland Consulting Group, Inc.
Payment plans are available, but must be arranged prior to the start of the program. Registration is from 8:00 am to 9:00 am. Camp set-up is from 9:00 a.m. The weekends will close on Sunday at 2:00 p.m. after the tear down of the camp. We will be living amongst nature. Tents will be provided. 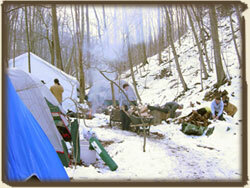 You will need to bring a sleeping bag, ground cloth, and a ground pad or cot. You will need to bring rain gear as we will meet rain or shine or snow or sleet. You will need to bring clothing appropriate to being outside. Insulated boots would be appropriate for the winter. Flash lights are required. You will need to bring soap and shaving gear as desired. 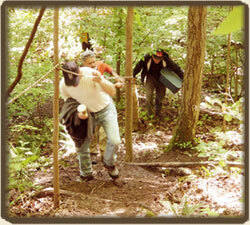 You will need to be mindful that the walking path to camp is rough terrain. You will need to bring 2 to 3 gallons of water for each week-end, as well as dried fruits, nuts, protein or granola bars, etc. to be commingled into a community pantry. We will meet in a scenic area east of Cleveland, Ohio near Novelty, Ohio. If you have questions at any time, please contact us at 440.338.1705 or use email addresses listed on the back of the application.